Where Should I Apply to College? How in the heck can I even decide what colleges should be on my list? 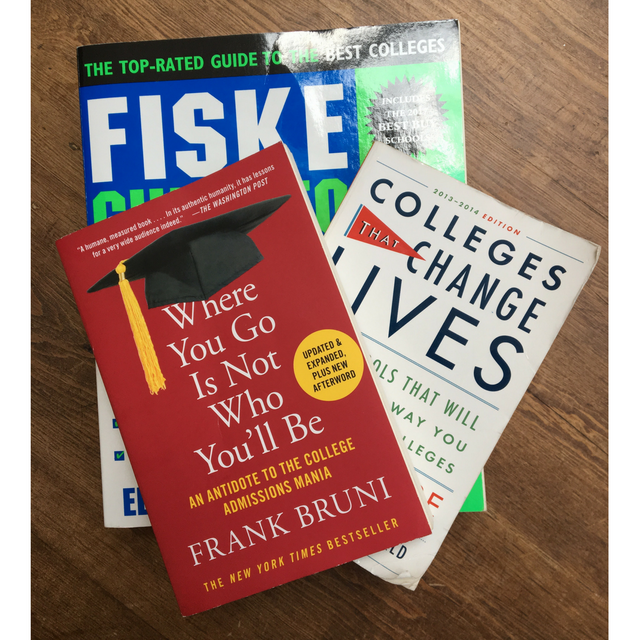 If you’re applying to college, it can be easy to feel bogged down by the–literally and I’m not exaggerating–thousands of colleges you have to choose from. As with most important tasks in life, often the hardest part is just getting started. Starting your college admissions journey with the basics simplifies the process of finding the school best suited to your academic and personal needs. Everyone has their own needs, wants, and values, and what’s important to you may not matter to someone else. Important aspects to consider include: location, school size, tuition costs, academics, and the school’s social scene. Here’s AdmissionsMom’s step by step guide to finding the right matches for your application list. Financials—Can you afford this college? If the net price calculator is way off what you can pay, you might want to move on. If you are unsure how much a college costs, google search “net price calculator” followed by the name of the college or university. Social Atmosphere— What kind of social climate are you looking for? School spirit? Greek life? Quirky kids playing video games in their rooms? Huge rager parties? Stress culture? Laid back? Work hard play hard? Football games? The best way to learn about a college’s social scene is to visit the school or download the College Vizzy app (coming soon to an app store near you…). Other ways to research a college’s social atmosphere–besides reading their websites and the college guides–include reading the college’s subreddit, following the college’s social media accounts, and reading the student newspaper. Geography—What area of the country is the college in? Do you want an urban school? Rural? Enclosed campus? City campus? Mountains? Beach? Think about your daily routine and activities you enjoy for fun or leisure. If a school does not offer you a chance to do those things, it may not be for you. Climate— Can you tolerate long cold months? Does hot weather bother you? Do you want to experience each season? Major — Does the school even have the programs you think you might be interested in? Think about what you enjoy studying or reading about. Research the schools’ websites and reach out to admissions officers to see what sort of opportunities you might have at that college. I can’t emphasize enough to all of you to read each college’s website. They tell you the kind of kids they’re looking for. There’s no secret there. Are you that kid? For real? Don’t try to squish yourself into their mold. Figure out who you are and then find the many schools that you—the real you—fits into their shape— and also make sure you give yourself some room to grow and expand. A surefire-safety-school is a school where you have applied early and have already been admitted, or a school where you are guaranteed admission based on either your class rank, gpa, or test scores. These schools must be a good option for you financially, and you can happily see yourself there. Safety schools are often one of your state schools or another public school with rolling admissions. Though safety schools may not be “hard” to gain admission, this can be your most important school, so take it seriously—and apply early. For example, schools like Iowa State and University of Iowa can be examples of possible sure fire safety schools for many applicants; you should check them out and see if you are guaranteed admissions there. Surefire-safety-schools must be a school where you know you are or will be admitted, you know the school is affordable for you, and you know the school can be a good fit for you. Apply to these schools as early as possible. Matchy/Reachy Schools are colleges where your test scores and grades 50th-75th percentile range on a site like CollegeSimply. Once you see that you fit the academic profile of your reach schools, make sure they fit what are you looking for in a college. Apply to a few that you have researched. These are the schools where your research is most important. Find the schools that are looking for students like you and the special gifts you can bring them. Remember any school that does holistic review (and that’s nearly all private and many public schools) can really not be considered a safety school–you just aren’t privy to their institutional needs. Lottery schools are all highly selective colleges no matter who you are and how beautiful your application is. These schools also include places where you are in the lower half of their stats. That doesn’t mean you shouldn’t apply. If a school feels right to you, go for it. As always, research each school you apply to, reach out to their admissions officers, talk to your college counselor at school, and visit if possible. Each college accepts students every year. One of them might as well be you. Wait. What do I do when??? What about diversity of thought? AdmissionsMom started on the subreddit r/ApplyingToCollege and has grown into a full-blown college admissions adventure with a blog, and an app and a book in the works. AdmissionsMom helps students and parents through the stressful college admissions process with tips on choosing the right school for YOU, learning to leave the pressure behind, and practicing mindfulness.